The issue of religious liberty is of the highest interest to me both as a theologian and as an American. It is, as it were, the American issue at the Council. The American episcopate is greatly pleased that the issue has finally appeared on the agenda of the Council, notwithstanding many efforts to block discussion of it. Through Cardinal Spellman the American bishops made a strong intervention, demanding that the issue be presented to the conciliar Fathers. And all of them are prepared strongly to support, and indeed to strengthen, the text that has been written by the Secretariat for Promoting Christian Unity. Actually, two texts are to be presented. The first is the text of Chapter Five of the Decree on Ecumenism, entitled “On Religious Freedom.” The second is the lengthy relatio of Bishop Emile De Smedt, of Bruges. This latter document is the more important, in a sense, since it develops at length the rationale of the decree. I shall therefore undertake to state brieRy the tenor and scope of the decree in the light of the relatio. The Secretariat for Promoting Christian Unity composed its text before Pope John XXIII published his encyclical Pacem in Terris. But the doctrine of the text is identical with the doctrine of the encyclical. The text represents the term of a lengthy development of theological thought in the matter, and the encyclical confirms the validity of this development. There are, in general, two essential points of doctrine. First, it is asserted that every man by right of nature (jure naturae) has the right to the free exercise of religion in society according to the dictates of his personal conscience. This right belongs essentially to the dignity of the human person as such. Secondly, the juridical consequences of this right are asserted, namely, that an obligation falls on other men in society, and upon the state in particular, to acknowledge this personal right, to respect it in practice, and to promote its free exercise. This is, in a mode of general statement, the heart of the matter. Four reasons are given for the proclamation of this doctrine. All of them derive from the concrete situation of the world today. First, it is necessary today to state the true doctrine of the Church with regard to religious freedom in society, as this doctrine has been clarified by theological reflection, and also by political experience, over the past few generations. Secondly, it is necessary today for the Church to assume a universal patronage of the dignity of the human person and of man’s essential freedoms, in an age in which totalitarian tyranny has imposed itself upon nearly half of the human race. Third, we are living in the age of the religiously pluralist society, as it is called. Men of all religions and of no religion must live together in conditions of justice, peace and civic friendship, under equitable laws that protect the whole range of human rights, notably including the right to religious freedom. It is therefore necessary for the Church to show the way to justice and peace in society, by espousing the cause of human freedom, which is, as John XXIII taught, both an essential end of organized society and also the essential method and style of political life. Fourthly and finally, we are living in an age in which a great ecumenical hope has been born. The goal of Christian unity lies, of course, beyond the horizons of our present vision. We do, however, know that the path to this far goal can lie only along the road of freedom—social, civil, political and religious freedom. Hence the Church must assist in the work of creating conditions of freedom in human society; this task is integral to the spiritual mission of the Church, which is to be herself the spiritual unity of mankind and to assist all men in finding this unity. These, in brief, are the four reasons for the decree on religious freedom. The relatio proceeds to clear up the confusions and misconceptions with regard to the concept of religious freedom which remain the heritage of the 19th-century conflict between the Church and the laicist ideology that issued from the Enlightenment, so called, and the French Revolution. Briefly, the Church today must still reject a concept of religious freedom that would be based on the ideology of the “outlaw conscience,” which asserted that the human conscience is not bound by any divine laws, but only by such norms as it individually creates for itself. Again, the Church today must still reject a concept of religious freedom that would be based on the ideology of religious indifferentism, that is, on the notion that all religions are equally true, or equally false. Furthermore, the Church today must still reject a concept of religious freedom that would be based on the ideology of doctrinal relativism, that is, on the philosophical notion that there is no objective criterion of truth. These 19th-century ideologies, which still exist among us in one or other way, falsified the notion of religious freedom, just as they misconceived the dignity of man. Man is not God; he is only the image of God. God alone is the Lord. And man’s essential dignity consists in his dependence on God alone; man’s essential freedom requires that he should be governed, in the end, only by the will of God. From this point of view, the true notion of religious freedom begins to appear. In consequence of his personal dignity, man, in his quest for God, has a right to be free from all manner of coercion or compulsion that might be brought to bear on him by other men, by social or political insti­tutions, or by the power of human law. Man’s quest for God, man’s adhesion to the truth of God, must be free. This is itself a divine law, which is written in the nature of man, and written even more clearly in the gospel of Christ. True religious freedom therefore consists, negatively, in the immunity of the human per­son from all coercion in what concerns his personal relations with God, and, positively, in the free exercise of religion within civil society. This is the conception of religious freedom that is contained in the conciliar text and developed in the relatio. I must confess immediately that I do not find it adequate, though I think it is true as far as it goes. One must have in mind that it will be the duty of the Council to establish the formula, “religious freedom,” within the Christian vocabulary, to define or describe its full sense and meaning, and to do this in such a way that there may be’ at least general agreement among all Christians, Catholic and non-Catholic, with regard to the essential content of this formula. I hope therefore that in the course of the conciliar discussion the concept will be more fully elaborated. However, I shall not enter this subject here. The intention of the decree is pastoral and ecumenical. Therefore it undertakes to define the attitude that Catholics ought to maintain and exhibit toward their fellow Christians and toward all men. This attitude is based on the Catholic doctrine with regard to the necessary freedom of the act of Christian faith. God our Father through Christ our Lord freely spoke to men His word of salvation, which is a word of truth and love, an invitation to an interpersonal relationship between man and the one God, living and true, who is Father, Son and Holy Spirit. God’s word was freely spoken; it is for man to respond to it freely. The response, whether acceptance or rejection, is a matter of personal responsibility. No man may abdicate this responsibility. No man may assume this responsibility for another, but only for himself. The decision, for God or against him, must be a personal decision. Hence no man, and certainly no Christian, may bring to bear any kind of coercion, physical or moral or legal, on another. This would be to contravene the essential law of the divine economy of salvation, which is that men must accept God’s gift of grace freely, or not at all. Therefore the theology of the act of faith obliges Christians to an attitude of respect and reverence toward others who do not share their faith. This is not religious indifferentism. One does not affirm that truth and error are equal in the sight of God. One must, however, affirm the dignity of the human person and the freedom of the act of personal religious decision. All this is quite clear. But the decree and the relatio enter another area, which is most difficult. Religious freedom is to be a right whose exercise takes place in society—in a civil society that is politically organized, that receives its structure from a juridical order, and that is governed by duly constituted political authority. Here the difficulty begins. Within organized society no human right, not even the right to religious freedom, is unlimited in its exercise. Hence the essential question is: what are the principles according to which the social exercise of the right to religious freedom may be justly and legitimately limited? Or, from another point of view, what is the competence of civil government in regard to the exercise of the right to religious freedom in society? Concretely, what are the canons of jurisprudence that must control the use of the coercive weapon of law in this most delicate and sensitive field? These questions are extremely difficult. But they cannot be avoided. Religious freedom is not simply an ethical or moral problem. It is also a constitutional problem. One meets the problem in its full concreteness in the order of law and government. In my opinion the decree is not sufficiently clear and explicit in its dealing with this problem of social and legal limitation of the right to religious freedom. Rightly enough, it asserts the principle, which is also a fact, that the exercise of the right to religious freedom, since it takes place publicly and in society, is subject to some legitimate restrictions. These restrictions, it says, may be imposed in the name of the common good, or in the name of the rights of others. All this is true enough. But I find it too vague. An appeal to the common good, as the ground for legal restrictions on religious free­dom, may be no more than the invocation of a raison d’etat, which is dangerous doctrine. Moreover, the allegation of the rights of others, again as the ground for restricting religious freedom, may be no more than a veiled invocation of the rights of a majority, which again is dangerous doctrine. The relatio is somewhat more satisfactory. 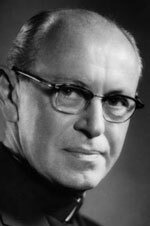 It clearly adopts the juridical conception of the state which was developed by Pius XII, and even more sharply emphasized by John XXIII in Pacem in Terris. These Popes laid aside the more Aristotelian, ethical conception of the state that is to be found in Leo XIII. The relatio therefore makes clear that the primary element in the common good consists in the legal protection and promotion of the whole order of personal rights and freedoms which are proper to the human person as such. Therefore the relatio also makes clear that an infringement of the personal rights of man, including notably his right to religious freedom, cannot be justified by an appeal to the common good. Such an infringement of personal rights would be a violation of the common good itself. This is good political philosophy and jurisprudence. I think, however, it is necessary to take one further step. And here I speak as an American, out of the Anglo-American tradition of politics, law and jurisprudence. The American constitutional system is based squarely on two fundamental principles: first, man is endowed by his Creator with certain inalienable rights; second, government and the order of law exist primarily for the protection and promotion of these rights. These principles were clearly affirmed by Pius XII and by John XXIII. However, the American system also enshrines another principle, namely, the incompetence of government as judge or arbiter in the field of religious truth, as also, for instance, in the field of art and science. Government is a secular authority whose competence is limited to the temporal and terrestrial affairs of men who must live together in justice, peace and freedom. Government therefore would act ultra vires (beyond its scope) if it were to undertake to judge this religion to be true and that religion to be false. Government would be acting even more evidently ultra vires if it were to enforce upon citizens, by the medium of law, any kind of theological judgment; if, that is, it were to assert by law that a particular religion—say, the Catholic religion—ought to be the religion of the national community. This principle, which asserts the incompetence of secular political authority in the field of religion, is deeply embedded in the true political tradition of the Christian West. It is also affirmed within the theological tradition of the Church. Leo XIII, for instance, made it quite clear that political authority has no part whatsoever in the care of souls (cura animarum) or in the control of the minds of men (regimen animorum). It is, of course, true that this political principal obscured in Europe for centuries, largely in consequence of the rise of royal absolutism and the “Union of the Throne and Altar.” The true tradition was, however, preserved in the American constitutional system. Absolutism never set foot in America, much to the joy both of the Church and of the American. Together with my fellow countrymen, both Catholic and non-Catholic, I should like to see this principle asserted in the final conciliar text on religious freedom. It is, I think, essential to the case for religious freedom in society. It completes the theological and. arguments by adding to them a sound political argument. And this political principle, namely, that political authority is incompetent in the field of religion, needs particularly to be invoked when there is question of legal limitations to be imposed on the free exercise of religion in society. The relatio deals at length with another problem in the present matter. It is a theological problem. The fact is that, at first sight, the affirmations of Pacem in Terris with regard to the right of religious freed with regard to the juridical consequences of this right seem at first sight to be directly contrary to utterances of the Church in the 19th century, which seem to have denied this right. The relatio deals with this problem in the only way in which it may ultimately be dealt with, that is, by regarding problem of true and genuine development, both in the doctrine of the Church and in her pastoral solicitude for the dignity and freedom of man. In conclusion, I might note that two essential questions face the Council. The first is pastoral and ecumenical. The Church has always fought for freedom and for the freedom of her children. The question today is, whether the Church should extend her pastoral solicitude beyond her own boundaries and assume an active patronage of the freedom of the human person, who was created by God in his image, who was redeemed by the blood of Christ stands today under a massive threat to everything human dignity and personal freedom mean. The second question is doctrinal. Is the assumption of this universal pastoral solicitude warranted? Is it grounded in the doctrinal tradition of the Church with regard to human dignity and the rights of man? I think the answer must be affirmative, if only the if only the tradition of the Church is understood to be what it is, namely, atradition of growth in fuller understanding of the truth. John Courtney Murray is the author of We Hold These Truths and former associate editor of America.